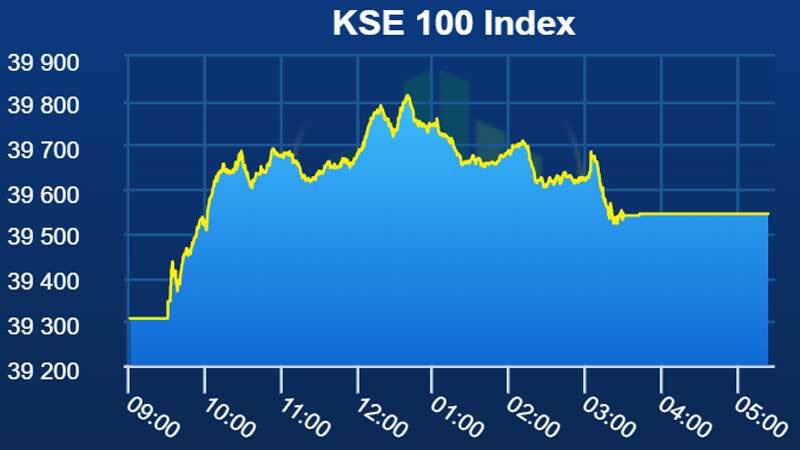 Pakistan equities closed green Monday with KSE100 Index settling at 39,544 points level, up 237 points or 0.6 percent. Market kicked of on a positive note led by gains in international oil prices. Heavy-weight sectors such as Financials, Energy and Fertilizers cumulatively contributed +277 points towards the close. An equity analyst at Trust Securities said the benchmark index remained positive while the first day of the week turned to be exciting and the market finally closed in the green zone. Major developments are seen as leading US Senator Lindsey Graham vowed to urge President Donald Trump to meet Imran Khan to boost Washington’s Afghanistan peace efforts, calling the Pakistani prime minister an “agent of change”. Investors tracked down developments after Malaysia is interested in investing in infrastructure, housing and telecommunication sectors of Pakistan and both countries need to widen bilateral trade, which stood at $1.34 billion in 2017. Pakistan Oilfields Limited (POL), Oil and Gas Development Company (OGDC) and Pakistan Petroleum Limited (PPL) posted gains meanwhile financials and Autos followed suit with Habib Bank Limited (HBL), United Bank Limited (UBL), MCB Bank Limited (MCB), Honda Atlas Car Limited (HCAR) and Pak Suzuki Motors Limited (PSMC) pushing the benchmark Index higher, on the flip side cements traded under pressure owing to expected increase in Federal Excise Duty on local cement prices with Lucky Cement Limited (LUCK), DG Khan Cement Limited (DGKC) and Maple Leaf Cement limited (MLCF) closing in red mean while National Refinery Limited (NRL) and Attock Refinery Limited (ATRL) closed at lower circuit owing to dismal result posting LPS of Rs 34.91 and Rs 27.25, respectively. “We anticipate the market to remain focused on developments of supplementary budget and Prime Minister’s trip to Qatar where possible development include deferring of LNG payments to ease off pressures on external account in short term”, said Murtaza Jafar, an analyst at Elixir Research. Trading activity slightly decreased as volume stood at 124 million shares, down 20 percent. Major contribution to total market volume came from K-Electric gaining 1.9 percent and Fauji Fertiliser Company (FFL) losing 5 percent exchanging 29 million shares throughout the day.